MOVIE SYNOPSIS: All seems well on the island of Berk as Vikings and dragons live together in peace and harmony. Now a Viking leader, Hiccup finds himself increasingly attracted to Astrid, while his beloved dragon Toothless meets an enchanting creature who captures his eye. 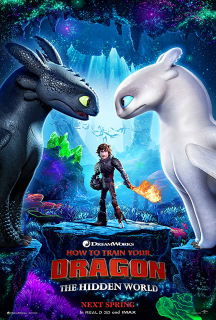 When the evil Grimmel launches a devious plan to wipe out all the dragons, Hiccup must unite both clans to find Caldera -- a hidden land that holds the key to saving Toothless and his flying friends.